NBBQA GETS SPECIAL DISCOUNT ROOMS FOR THIS EVENT. PLEASE USE THE LINK TO RESERVE YOUR SPOT TODAY. 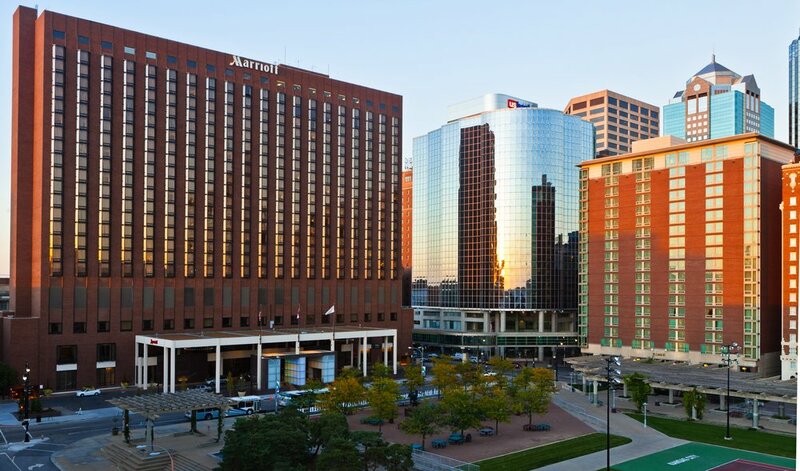 Attached to the KC Convention Center by an enclosed walkway, this upscale hotel is a 9-minute walk from the Kauffman Center for the Performing Arts and 2 miles from the historic Union Station. Relaxed rooms have flat-screen TVs, desks, coffeemakers and Wi-Fi (fee). Some rooms have access to a lounge with free continental breakfast and evening appetizers. Suites add separate living areas. Room service is available. There's are 2 restaurants, a sleek bar, a lounge bar and a coffee shop, as well as an indoor pool and a gym. Other amenities include a business center, paid parking and laundry services.